Cashflow, cash basis, capital gain, inventory, income, gross receipts, profit, accounts receivable, alimony, assets, accrual, trend analysis, lifestyle analysis, mark-up analysis, perquisites, passive activities, deductions, dividends, depreciation, deferred income, the “double-dip.” If your blood pressure just went up, take two handbooks, and call me in the morning. 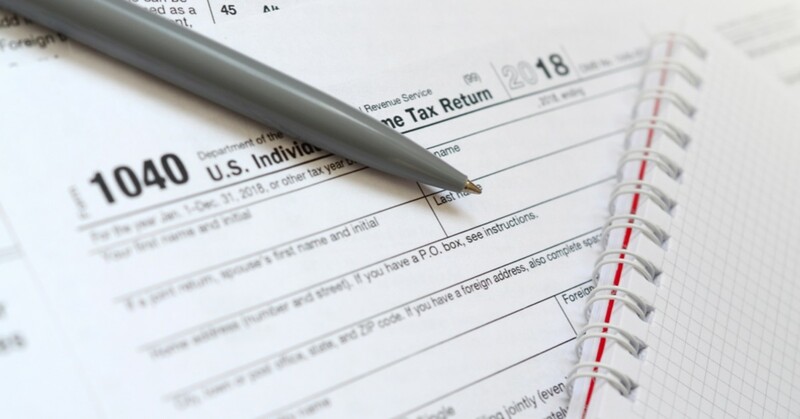 This month’s review highlights two guides that aid in understanding federal tax returns, schedules, and forms, which is very important to understand if you own your own divorce and family law firm. Jack Zuckerman is an attorney-CPA based in Los Angeles. He has served as a forensic accounting expert witness since 1980, testifying in court hundreds of times. In the mid-1990s, he began publishing a variety of materials, including two tax return handbooks. The 1040 Handbook focuses on the personal tax returns, and The Business Tax Return Handbook focuses on the returns for proprietorships, partnerships, C corporations, and S corporations. Besides applying tax knowledge for your own divorce and family law firm, knowing tax laws can help you with mediation and litigation for divorce proceedings. Each handbook is user-friendly and serves both as a complete introduction to understanding the federal forms and as a quick reference to pull from your divorce and family law bookshelf when issues arise in specific divorce and family law cases. The handbook provides practical advice and commentary, teaching tax and accounting concepts and basic analytical skills, all of which is essential knowledge for any divorce and family attorney. The focus is on how to advance your discovery efforts efficiently and effectively. The handbooks offer line-by-line analysis of the federal tax forms and schedules, reflecting on the significance of particular entries and the absence of entries as clues and red flags for your divorce and family law practice. The handbooks suggest other forms and business records that might lead to additional information about assets and income, which you can apply to your own divorce and family law practice. Each section of the tax return is reviewed, and areas for follow-up are developed. These areas can be converted into divorce and family law interrogatories, document requests, and deposition questions. In order to provide concrete examples, each handbook uses hypothetical tax returns in the context of a divorce case and demonstrates how entries suggest the existence of income and assets. The 1040 Handbook uses the 2007 federal tax returns, while The Business Tax Return Handbook is more dated, using the 2003 federal tax returns. The 1040 Handbook covers the Form 1040, the schedules for deductions, interest and dividends, profit or loss from business, capital gains and losses, supplemental income and loss, profit or loss from farming, self-employment tax, child and dependent care expenses, sale of business property, alternative minimum tax, depreciation and amortization, and passive activity loss limitations (Schedules A-F, and SE, and Forms 2441, 4797, 6251, 4562 and 8582). The Business Tax Return Handbook covers proprietorships (Schedule C), partnerships (Form 1065), C corporations (Form 1120) and S corporations (Form 1120S). The 1040 Handbook and The Business Tax Return Handbook will help you understand how to use tax returns to benefit your divorce and family law client. You will learn how to identify true income and find undisclosed assets during your divorce and family law discoveries and depositions. You will recognize business expenses reflecting income and cash flow, and deductions leading toward the existence of marital assets — all of which the opposing party will try to hide during divorce and family law proceedings. You will find red flags by comparing current returns with prior years and by being familiar with potential future tax liabilities, which is of particular importance in child support cases. Thankfully, these two handbooks will help keep your client-value up and your blood pressure down. Jack Zuckerman, et al., THE 1040 HANDBOOK: A GUIDE TO INCOME AND ASSET DISCOVERY (2008, 5th ed., American Bar Association). $99.95. Jack Zuckerman and William F. Wolf, THE BUSINESS TAX RETURN HANDBOOK: (2004, 2nd ed., American Bar Association).